StageBug SB-6, DI from Radial Engineering. 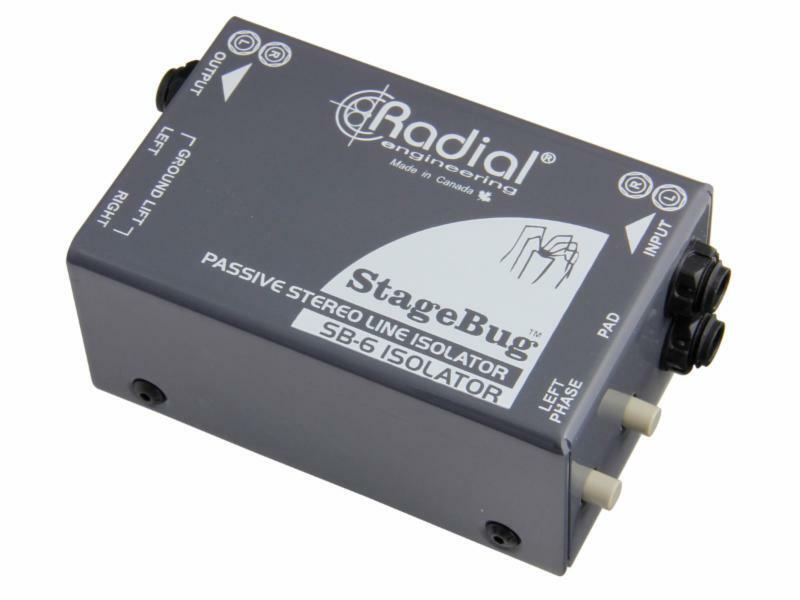 The Canadian brand added to the StageBug family the SB-6 passive stereo isolator. The StageBug SB-6 allows for eliminating noises that can be generated from certain sources. It includes Eclipse transformers and can handle balanced and unbalanced signals. A -10dB pad is available on the inputs for high amplitude signals, and the B output also features a polarity reverse switch. The SB-6 is fully passive so you won’t need any external power supply. A busy producer/engineer shares his expertise Recording vocals is an activity that most musicians with studio gear are involved with in one way or another. So when we had a chance to tap into the expertise of Kris Crummett, a prominent producer/engineer to talk about it, we jumped at the chance. Find out what he had to say here. The versatile and durable dynamic mic that's everywhere The Shure SM57 arrived on the scene in 1965 and quickly became a fixture in the pro audio world. The versatile, solidly built, yet inexpensive dynamic mic is great for guitar cabinets, snare drums, horns and lots more, both onstage and in the studio. Besides its considerable studio and stage usage, it's been the presidential podium mic for decades. Q&A: Telefunken Engineer Ryan Loftus Audiofanzine met up with Ryan Loftus ─ engineer at Telefunken Eletroakustik ─ to talk about the high-end microphones the company manufactures.